If you have a child with autism, explaining the diagnosis to your other children is one part of working together as a family. When the sibling in question is younger than your child with autism, this process can be challenging, as you will decide what information is appropriate to share at what point in your younger child’s development. This information can help. Before age seven, younger children may struggle with concrete information about autism and may do better with your simply answering questions and providing reassurance on an as-needed basis. As children get older, you can begin by explaining what autism is and how it impacts the affected child. Remind all siblings that it is your responsibility to be the parent, not theirs and that you are always available to answer questions. Getting children involved in family therapy can be as important as getting your child with autism into a program at an autism treatment center. At The Behavior Exchange, we offer support for the whole family along with ABA therapists in Plano for kids with autism. To find out more about our services, call (888) 716-8084. Each parent may have a unique reaction to a diagnosis of autism. Although the child with autism is still the same, sweet little boy or girl, the presence of autism symptoms does mean that he or she will need some extra help and attention. This change in family dynamics can be difficult for siblings in particular. Each member of the family can find the support he or she needs at a family-centered ABA school that provides comprehensive autism therapy programs. If your child with autism is older than his or her siblings, it’s particularly important to be mindful of possible signs of autism in the younger siblings. Siblings of children with autism do have a higher risk of developmental delays . Consider talking to your child’s pediatrician or ABA therapist if the younger sibling does not babble by 12 months or use single words by 16 months. Failure to make eye contact is another possible sign of autism, as is the sudden reversal of language acquisition. For example, the child may be developing typically in terms of language use, but then inexplicably begin to verbalize less. Communication is essential for strong relationships, however, siblings of children with autism may have difficulty expressing their feelings. They may feel too ashamed or embarrassed to tell their parents that the sibling is upsetting them. Over time, the failure to communicate and resolve the issue may lead to resentment. Encourage the siblings to freely share their concerns and feelings with you without responding in a judgmental fashion. Use observations to facilitate the discussion. For instance, you might say, “I notice that Jonah didn’t want to play trucks with you. That must have been upsetting.” Encouraging the sibling to freely communicate can help him or her to understand that these types of feelings are normal. Ongoing communication also provides you with opportunities to resolve minor problems before they escalate into major meltdowns. The Behavior Exchange provides personalized therapy and parent training for families affected by autism spectrum disorders in Plano and throughout the DFW area. Our ABA school encourages sibling participation in our autism therapy programs to support their relationships with siblings with autism. Raising a child with autism involves special challenges for families. Parents must devote a significant portion of their time to addressing the needs of the child with autism. Often, this has a detrimental effect on the relationship between the child with autism and his or her siblings. 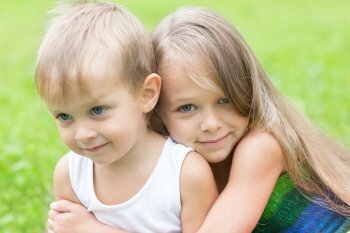 Siblings can also be adversely affected by the child’s autism-related behavior. When your family meets with an autism specialist , you may wish to discuss ways of strengthening sibling bonds. Each of your children is unique. However, siblings of children with autism do share some common stressors. Many siblings experience anxiety about their parents’ stress related to caregiving. Some siblings may try to become perfectionists in an attempt to compensate for the child’s deficits. It’s also common for siblings to feel embarrassment about autism issues, particularly when they are around their friends. They may be jealous about the amount of attention the child is getting and they may become frustrated over failed attempts to interact with the child. One way to ease siblings’ stress and promote family harmony is to help them better understand autism. Use age-appropriate language to explain autism-related challenges. For very young children, you might say, “Billy has trouble speaking.” Increase the sophistication of the discussion in accordance with the sibling’s age. Expect to have frequent discussions about autism as the siblings grow older. Fostering strong relationships often begins with teaching siblings how to interact with the child with autism. Siblings may wish to participate in an autism therapy session. 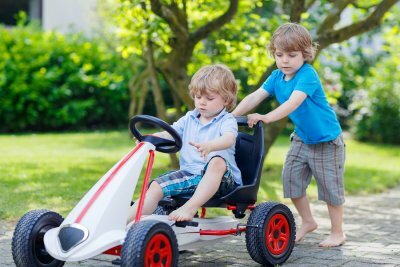 Parents can also help siblings learn how to capture the attention of the child, provide simple directions, and use positive reinforcement for appropriate responses. The Behavior Exchange encourages a family centered approach to addressing the challenges associated with autism. We offer training for parents and we encourage siblings to participate in our program. To inquire about our behavior classes for children with autism, call our office near Dallas at (214) 556-3947.